The Museum of Mediterranean and Near Eastern Antiquities (Medelhavsmuseet) in Stockholm, FARO and Autodesk have teamed up in a mummy visualisation project. The collection will be digitised using the latest 3D reality capture techniques and made available to museum visitors through an interactive exhibition experience. Each woman acquired a considerable library during her tenure, collecting materials ranging from the uncommon (gallery announcements from New York and beyond, as well as rare and unusual periodicals and books) to the required reading of the day (exhibition catalogs and major monographs on contemporary artists). These important resources influenced the two women, who in turn influenced the vision and development of their respective institutions, which remain integral to the city’s cultural life today. The museum libraries digitized selected volumes from each collection to display the materials together online, which helps highlight the similarities and differences between each collection. The Internet Archive, which hosts the collection, offers robust functionality including cataloging data, and the ability to view the fully digitized materials online in a book reader software or to download as a PDF of e-book reader file, including EPUB and Kindle. To visit the project collection page for Art Resources from the Mid-20th Century: Digitized Highlights from the Libraries of Hilla Rebay and Juliana Force, click here. For more information, please also explore project summaries from the Guggenheim and the Whitney. 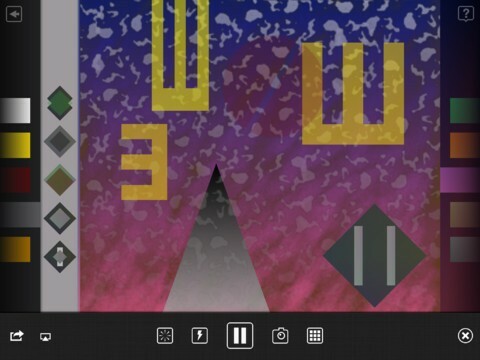 [The Scape app] lets users pull together a variety of shapes, backgrounds, and color schemes – each with its own corresponding musical cues —to create their own visual and sonic landscape. There are no proxies to any sort of traditional music creation tools; everything is based on the abstract imagery and the sounds each visual creates. The app is $5.99 in the iTunes store. Click here for a video demonstration. The Bibliothéque Nationale de France recently released an iPad app for their digital library Gallica. The app, also called Gallica, contains nearly 2 million freely available items from the BnF, including books, journals, manuscripts, photographs, prints, posters, cards, and music scores among many others. The app allows you to search or browse through all digitized material available through the BnF, and each document can be viewed in its entirety. You can create a favorites list, view the full bibliographic record, download entire documents or individual pages, email links, or share the object on social media outlets including Facebook and Twitter. You can download the app here, or stop by the VRC to check it out on our iPad! For a set of famous artworks, we downloaded all the plausible copies we could find. Then we wrote software to reconstruct each artwork as a mosaic, a patchwork quilt where each patch comes from an individual copy. The resulting compositions (which explore paintings, photographs, drawings, and detailed sections) visually demonstrate the discontinuities of the individual files, creating what HINT.FM calls “a tapestry of beautiful half-truths”. To view all the reproduction-compositions they created, click here. And don’t forget—if you ever have any trouble finding, creating, or displaying the most accurate images possible, don’t hesitate to contact the VRC! The TECHB@R (located on the first floor of Regenstein Library by the stairs) is now offering free Software Consultations to faculty, staff, and students looking for assistance with a variety of general computing and statistical software, including Photoshop, InDesign, and PowerPoint. Consultations are available for walk-ins but you can also schedule appointments by emailing itconsult@uchicago.edu.